Oneonta, NY’s Damaschke Field is set to receive an upgrade, as a $1 million state grant for renovations to the ballpark was announced on Thursday. A former home to affiliated Minor League Baseball, Damaschke Field is currently used by the Oneonta Outlaws (summer collegiate; New York Collegiate Baseball League). Citing its deteriorating condition, officials are planning a project that calls for demolishing the ballpark’s 1930’s-era grandstand and replacing it with a more modern structure. Renovation plans and a timetable haven’t been developed, officials said. 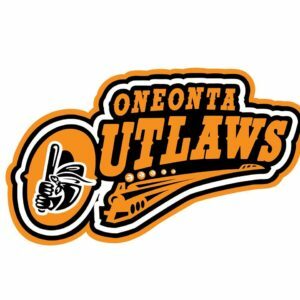 The city leases Damaschke Field to the Oneonta Outlaws Baseball Club Inc.
Laing said that hopefully Outlaws games won’t be suspended and the team will start its season on time June 1. “It’s going to be very exciting going forward,” he said. A total project budget also hasn’t been determined, city engineer Greg Mattice said, but most costs should be covered by the grant. The last affiliated team to occupy the ballpark was the Oneonta Tigers (Short Season A; NY-Penn League), who relocated to Norwich, CT and became the Connecticut Tigers following the 2009 season.